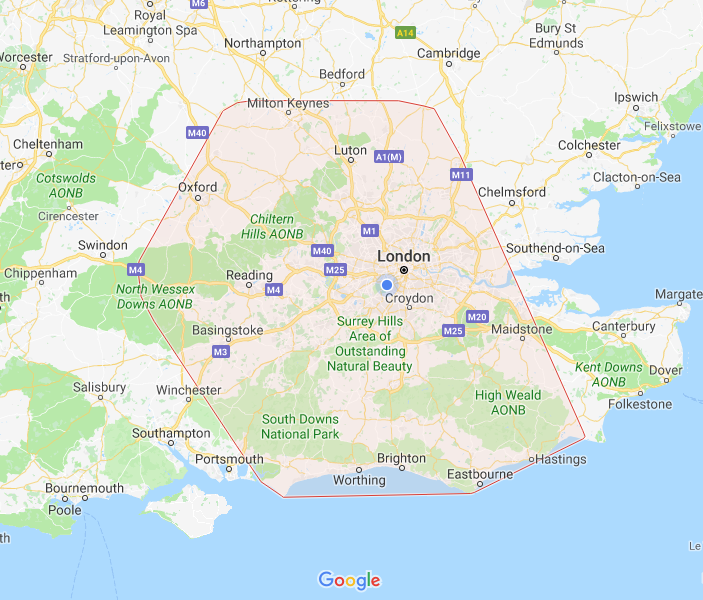 Our tutor will travel anywhere in the Greater London, Surrey, Berkshire, Sussex and Hertfordshire regions to teach lessons. The map below gives a general indication of the area that we cover during normal business hours. We can occasionally provide tuition further afield. Please put in a booking request to see if this is possible. In order to stay competitive, we don’t advertise our prices online, so please get in touch if you would like a quote for any of our services. We charge an affordable hourly rate for lessons and there are no long-term commitments. Discounts are available for advance bookings of 8 hours or more. Digital Audio Workstation – the type of software used for recording, producing, mixing and editing music and other audio. What will I learn with you? You can learn the principles of music production from beginner to advanced level using the DAW software of your choice. With the exception of our Rockschool course, every private lesson we offer is tailored specifically for your individual requirements. In our first session we will go over the basics and discuss what YOU want to achieve at the end of our time together. Our tutor will then draw up a personalised study pathway for you to work through over the coming weeks and months. We will focus on everything that is necessary to achieving your goals and NOTHING that isn’t. Can I learn how to produce any style of music? Absolutely! The tuition that we provide will focus on your desired learning outcome. Whether you want to produce rock, pop, metal, punk, folk, country, classical, jazz or something more obscure, we can provide you with the skills that you need to develop your own sound. Can I gain qualifications by studying with you? The DAW Tutor offers optional tuition on the full Rockschool syllabus at grades 1 to 8. Once you have completed each level, you can enter yourself for an assessment with Rockschool at one of their regional exam centres. You can earn an official Steinberg certificate in Cubase by taking one of our Steinberg Certified Cubase Training Courses. I’m only looking for help with a few things. Do I have to sign up for multiple lessons? We’re more than happy to accept one-off bookings. Our lessons come with no commitments, unless you want to book multiple lessons up front to benefit from a discount (get in touch to find out more). Of course, we hope that you’ll enjoy the first lesson so much that you’ll be back for more! Lessons are held at the location of your choice. Typically, students will choose to learn at home and our tutor will visit you for the lesson. If you would prefer to come to us, we can arrange lessons at our tutor’s home studio in south west London. 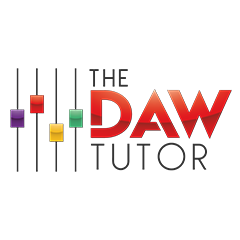 If you are learning with The DAW Tutor through your school, lessons will be held on site and your music department will schedule a time slot for you. Do I need my own recording gear to study? The short answer to this is no – our tutor has his own mobile studio rig, which he will bring to your home for your lessons. However, it is advisable that you have your own computer and DAW software as a minimum, so you can practice what you have learnt between lessons. If you are looking to purchase additional gear, so that you have a full recording studio setup, we recommend buying a MIDI keyboard, a good pair of over-ear studio headphones, a set of active studio monitor speakers and an audio interface. An audio interface is an external sound card that plugs into your USB, Thunderbolt or Firewire port and allows you to connect microphones and instruments to your computer. You may also want to consider buying a cheap condenser microphone if you plan on recording vocals and acoustic instruments. If you’re unsure about what you’ll need to study with us, please get in touch and we’ll be happy to answer your questions. Isn’t all the gear really expensive? Again, no – affordable, entry-level versions of most DAW applications are available and some even come bundled free with audio interfaces and MIDI keyboards. If you’re on a tight budget, it really has never been easier to get your hands on recording software. GarageBand comes free with every new Apple Mac and there is even a completely free version of Pro Tools available from the Avid website! You can also get a free copy of Cubase LE if you sign up for Cubase lessons with us. There are other affordable DAWs available and these are covered in our Budget DAW Lowdown. Please also check out our Essential Home Studio Gear Guide – a handy jargon-free list of all the equipment you’ll need to set up your first home studio, without breaking the bank. We can also help you choose the best gear for your budget. Please visit our studio installations page for more information. If you sign up for 4 lessons or more, you will be entitled to educational discount on any software or hardware purchase made through our retail partner. Can you help me add live instrumentation to my tracks? As our tutor plays a number of different instruments, including guitar, bass, drums and keyboards, he can also function as your personal session musician. Need a guitar riff in that chorus? No problem! A drum loop for that bridge? Easy! This is all included as part of our standard service.